When you walk into your local home improvement store to look at possible fence designs, you can quickly get overwhelmed. First, there are so many options. Second, you aren’t quite sure how it will look around your home and yard. We want to help you design your next fence and we know just how to do it. We’ve brought you a ton of great software for your home designs, from interior design software to deck and landscape software. The good news is that we have some great software for fence design. Will your fence be a privacy fence? Will it be a wooden fence or would you rather have a wrought iron bar fence? 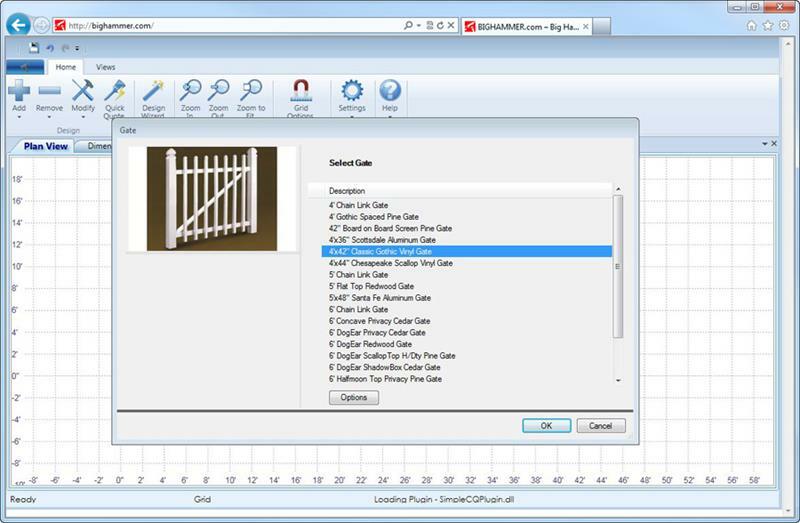 We’re bringing you 10 fence design software options, some free and some paid. You may recognize some of the names, as we’ve sampled them before for their other design software programs. Many of these are landscape design software options that incorporate fence design. We’ll give you the pros and cons of each option below so that you can find the best one for you. We usually try to bring you an even amount of free and paid options, but with fence design software, there just aren’t that many free ones. That’s okay though. If you are on a budget, you will find that one of these three options will get the job done. Edraw has been around for a while and it was created to help you get a great look for your garden space. That’s great, because often a fence is part of the garden. 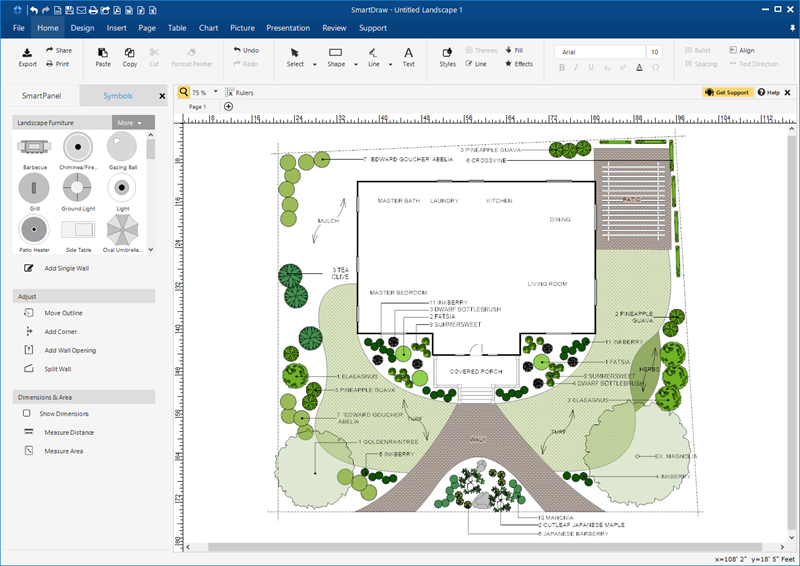 So, if you plan on having a fence, garden, and overall landscape design, this software will work for you. You can drag and drop many items along with the fence. Whether you want a smaller fence for part of the yard or one that goes around the entire perimeter, this program will let you visualize it. Now, if you want detail of what the fence itself will look like, this is not the option for you. With this, you can get an idea of fence position and planning. You can determine how long the fence will be and how it incorporates into your overall design. We’ve brought you Big Hammer before and we will keep bringing it. 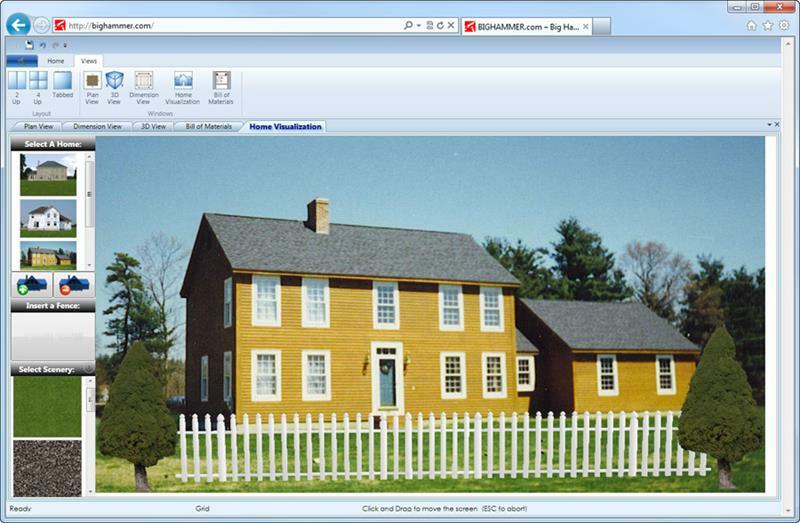 This free software (only available on Internet Explorer) will help you get an overall visual to what your fence will look like around your home. With this software, you can choose from many different layout and actual brand name materials. We like this free option because you can view your fence in 3D with a movable light source. This software gives your customization options, from gate styles to fence posts. Home Depot is brilliant because they created many free design software options. Why? Because they want you to buy their products. That’s fine because you can benefit from the software whether or not you plan to buy from them. The Home Depot Fence Designer program is easy to use. It lets you view a variety of fence designs and has a multi-view feature, including a 3D rotation so you can see every angle of the overall project. You will see the disclaimer on their page that you must have the .NET Framework from Microsoft to use the software. That may be a deal breaker for some, but if you can use the framework on your computer, this software will work well for you. When it comes to paid software of any type, you need to make sure that you are getting any and every option you need. Since you will have to pay for these, make sure all of your specific needs are met. Some of these software programs have different features, so let us help you decide which one is best for designing your next fence. You may recognize SketchUp Pro as Google SketchUp. That’s what it used to be called. Of course, since it is designed by Google, it works well across all major operating systems and is really easy to use. With this software, you can put in specific measurements to get your fence design down and planned. Then you can choose a specific design, arrangement, color, and patterns. Also, you can feel free to change any of that at any time in the process. We like how much control this program gives you and how easily it will let you blend the fence design with the overall landscape design. We’ve brought you software options from Punch! before. In fact, they’ve been our favorites a few times. 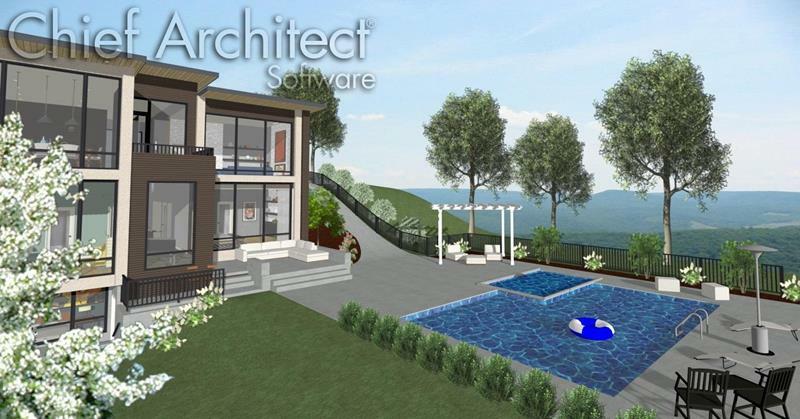 Their Home and Landscape Design Software has a specific fence design module that gives you amazing control. This program reviews your total plot space, including the dimensions and slope of the area. That is great because the design of a fence really has to incorporate any elevation changes. The program will help you at every phase of fence building, from the planning to the finish. Along the way, it will let you know what comes next so you don’t have to guess every step of the way. Idea Spectrum is an overall home design software that lets you review how the fence will look around your space. With this software, you can customize your fence design based on your property parameters. You can organize it the way you want and drag and drop gates along the way. You can choose specific design patterns for the fence and adjust the fence as you go. If your plans change, just plug in the new numbers. You can get a full 3D view, not just of your fence design, but your overall landscape design when you are finished. Need to view your fence from a variety of angles? No problem with this software. 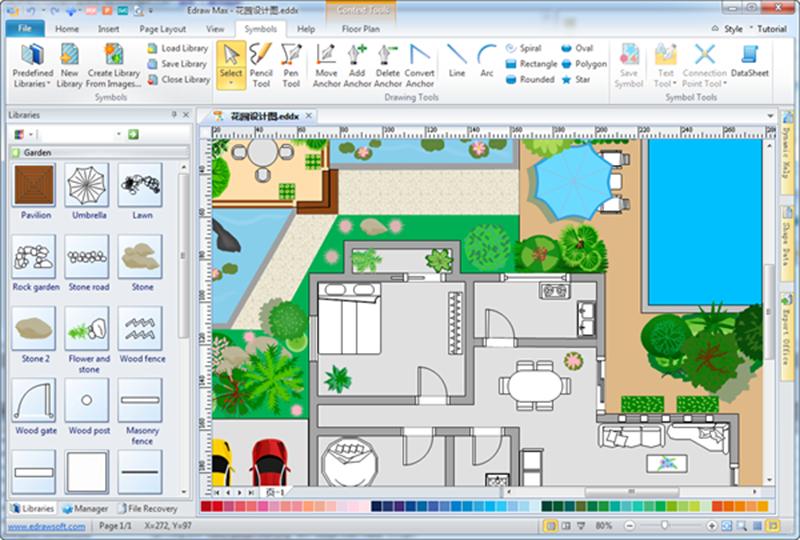 SmartDraw has great software options, not just for fence design, but for overall home and landscape designs as well. You can get a total blueprint layout for your landscape, adding different surfaces. You can use that to create a full legend with any item you want to organize around your home. With the SmartDraw software, you can design a fence around your property from scratch and the controls are easy to use for anyone, not just the experts. There is a free trial version of this software so you can sample the features before actually pulling out the wallet. We’ve brought you Home Designer before. Made by Chief Architect, this company knows what it is doing. There are so many options that come with this software and there is an entire section dedicated to fences. With the Home Designer software, you can create a fence for a variety of landscapes and spaces, ranging from larger fences for the entire property to smaller fences for kid’s areas or gardens. Is our lot an irregular shape? No problem. This software lets you plug in the measurements and it fills in the blanks for you. This program will plug in a fence where you tell it to so you can get a great sense of how it will look around your home. Don’t be afraid of the name of this software. Many people run from computer-aided design (CAD) software, but that is what all of these options really are. CAD is good. With this program, you can develop fence blueprints as well as overall landscape dimension blueprints. 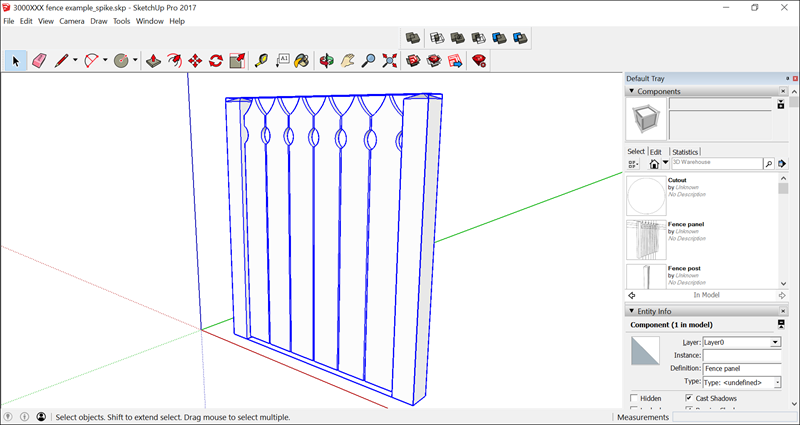 You can simulate different fence and gate styles, save your designs as PDFs or integrate them into Microsoft Office. Need a 3D view? Not a problem here if you download their 3D viewer. If you are a blueprint kind of person, someone who loves getting the plans down, this is the program for you. You can get serious with the details here. We recommend using the free version of this program first to ensure that you are comfortable with this type of CAD program. If you love it, go for the paid version. FenceSoft is a tool designed for all of the actual fence sellers and contractors out there. We didn’t want to leave you out. Of course, since you do this for a living, you want to have the best software to use on a regular basis. That means you will need to spend some money. This program has a large library of features and items and gives you maximum control over the fence design. As a contractor, you can completely customize every part of the fence design process to present every option to your customers. Yes, this program will cost a good bit, but if this is how you make a living, it will greatly increase your efficiency. Best Free Option: For our best free option, we are going with Big Hammer Do-It-Yourself Fence Designer. We like Big Hammer because their software simply gives you the best options when it comes to the free programs. Yes, it only works on Internet Explorer, but it is free. We think it is worth using IE to get your fence planned. Best Paid Option: For paid software, we are going with Home Designer Professional. Chief Architect makes this software, and we know they get it right. You have a wide array of fence options and you can get a full print out of what you need. The 3D views are wonderful and we know you can get your fence planned from beginning to end.